Madley Property are excited to present this breathtaking three bedroom apartment set within the new Berkeley development in Kidbrooke Village. The Square is made up of four buildings and has been set around a Village Square with a fountain, gardens and communal podium area. Residents will benefit from the 24-hour concierge and a residents only gym. All of this is complemented by surrounding parkland, community and numerous outdoor leisure facilities. 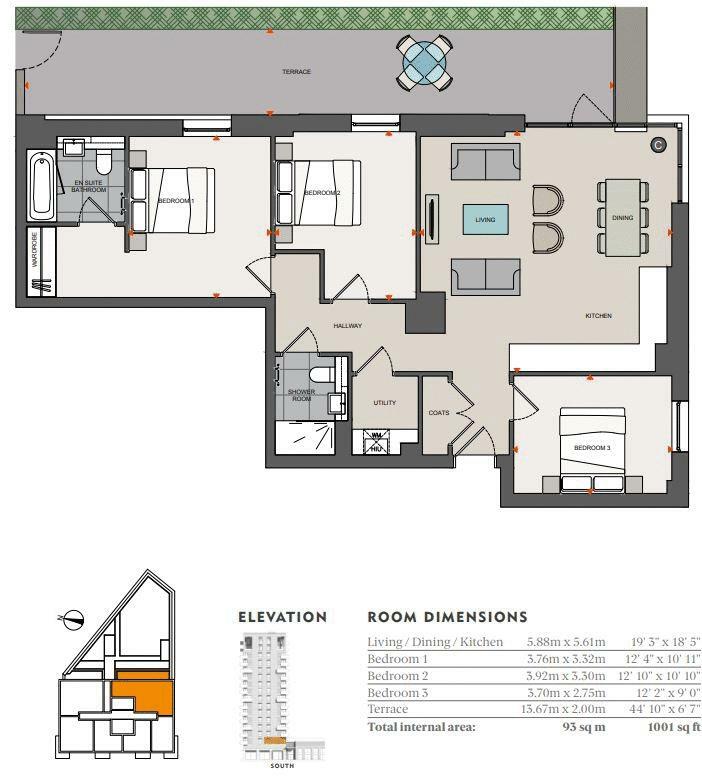 This apartment incorporates a well designed open plan reception, a fully integrated kitchen built to a high specification, a huge balcony, a spacious master bedroom with built-in wardrobe and an ensuite, a second double bedroom, a third single bedroom, a luxurious family bathroom, and storage throughout the whole apartment. This development is located on the doorstep Kidbrooke station and offering a wealth of local amenities including, shops, cafe, health centre with more planned. Kidbrooke Village is serviced by excellent transport links, whereby both London Bridge station and Waterloo East station are less than a 20-minute away.